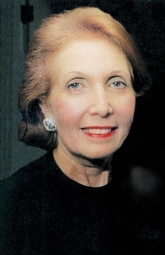 Alice K. Netter has always had a strong interest in psychology and family health, and has served on the Ackerman Institute for the Family’s board for 25 years. She has been a leading force behind the fundraising efforts of the Institute. Prior to Co-Chairing the Tribute to Families Gala, Alice chaired the Ackerman Institute’s Theatre Benefit for over ten years and raising significant funds vital to Ackerman’s Clinic operations, scholarships, and general fund. Dedicating her life to philanthropy, she has served as a Trustee of the Continuum Health Partners and Beth Israel Medical Center for nearly a decade. She was key to the development of the Alice and Richard Netter Simulation Training Center at Beth Israel, giving hospital residents and surgeons the ability to continuously practice and sharpen their medical skills. Alice is an avid gardener. She attended Skidmore College, and then entered into the American folk art business in the early 80s. Alice collects antique American folk art. She was married to Richard for 39 years and is the proud mother of two daughters and grandmother to three grandchildren.